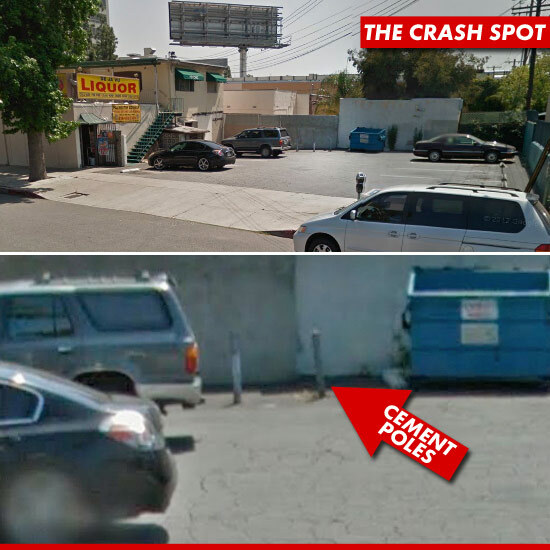 If Justin Bieber continues to trust Lil Twist with his ultra-expensive cars, then he deserves what he gets, because TMZ has learned Twist had yet another mishap, and this one involves a hit and run. We've learned Lil Twist was driving Justin's chromed-out Fisker Karma Tuesday, just after 6PM, when he crashed into cement poles protecting a wall at a San Fernando Valley liquor store ... damaging the poles and badly damaging the front-end of the car. Sources tell us ... either Twist or one of his passengers told an eyewitness, "Do you know whose car this is? It's Justin Bieber's car." We're told a few minutes later, a BMW roared up to the parking lot and the driver told Twist and the passengers, "Get all the pieces from the car [that fell] and put it in the car [the BMW]." After putting the Fisker parts in the BMW, the 3 men took off in the BMW, leaving the Fisker behind. Sources say one of the 2 passengers was Chris Brown. His reps have not confirmed or denied. FYI -- it's a crime to leave the scene of an accident that causes injury or property damage without exchanging info with the victim -- in this case the liquor store owner. We're told this was NOT done. You'll recall ... Twist also caused thousands of dollars worth of damage when he bottomed out Justin's Ferrari in the Four Seasons Hotel parking lot. And Twist was speeding in Justin's Ferrari January 1st when he was stopped by the CHP. A photog died while taking pics of the scene. Justin -- don't be an idiot. Cut him off. 8:17 PM PT... Chris Brown's people just got back to us and said he wasn't in the car and wasn't even in town the day of the crash. 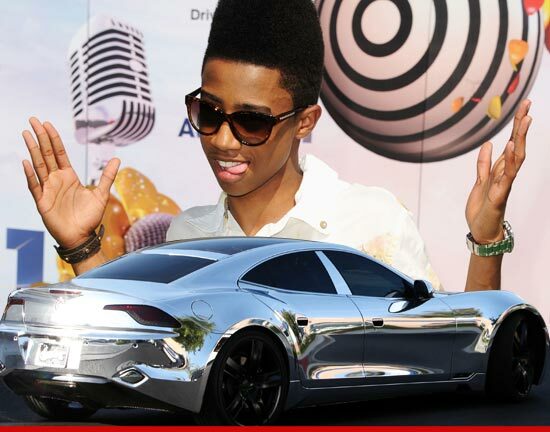 Lil Twist RECKLESSLY Drives Justin Bieber's Fisker ... AGAIN!